When you're flying your precious RC model the last thing you need is a glitch with your transmitter and receiver ending in a total loss. FrSky has a great solution with the multifunctional RX8R Pro receiver. 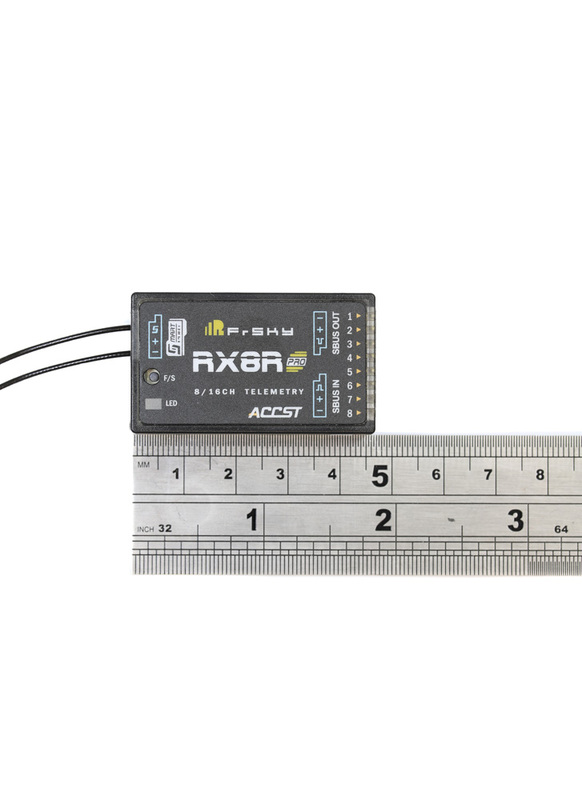 The RX features a redundancy function, which allows you to connect with it a separate slave receiver that will be used in the event of the master Rx losing signal. By connecting two RX8 receivers together using S.Bus, the master receiver receives signals from the slave receiver, until a circumstance arises to which the master receiver goes into failsafe, at which point the output signal from the slave receiver is used until the master receiver returns to normal operation. This dual Rx setup helps to ensure that you will remain in control at all times and gives you a further 8 channels to play with, making 16 in total. The RX8R Pro is an upgraded version of the RX8R receiver, which also includes redundancy support, while the Pro version boasts higher precision and lower latency. Its deviation of PWM is reduced to 0.5us, and the delay of PWM output is 9ms less than that of the X8R in high-speed mode. 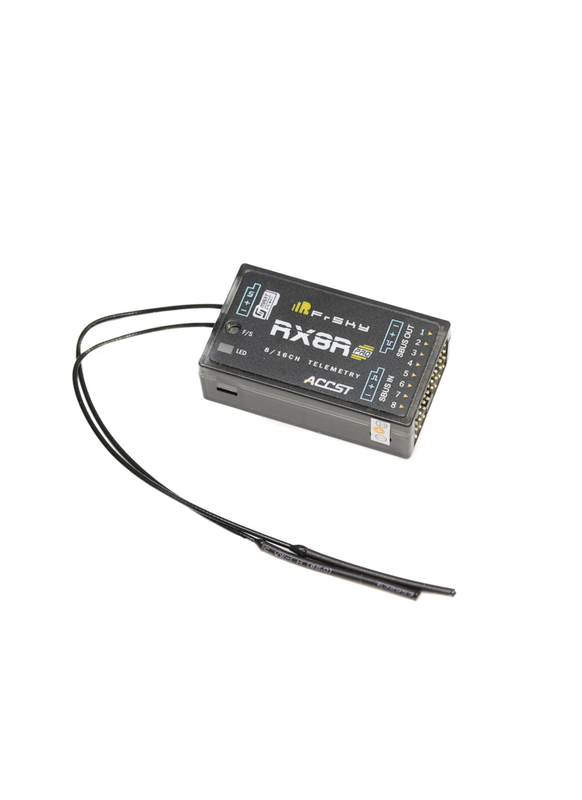 Please Note: This Rx has the FrSky EU LBT firmware installed, which greatly improves RF performance, range and stability. This firmware is not compatible with the previous EU firmware. It is recommended that you upgrade your radios, modules and receivers from the old EU firmware to the corresponding EU LBT firmware. Use either FrSky radios or PC for upgrading. Lower latency: compared with X8R under HS mode, PWM output delay of RX8R PRO reduces at most 9ms.